Gorgeous glass wind screens for all of our fire pit table offerings. Our SoCal Collection has an optional glass wind screen that is made from 3/16” tempered glass and held together with chrome corner clamps. The wind screens are a must for using the cooking kit and greatly improve the quality of fire. 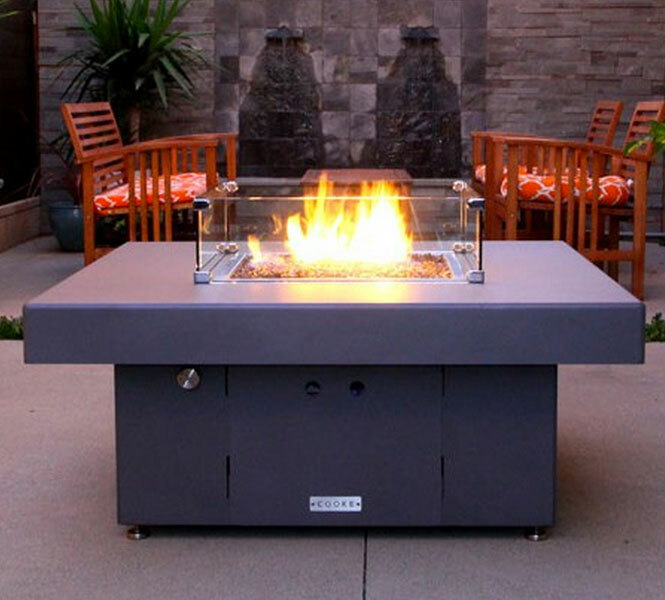 We are happy to produce custom sizes or upgrade the thickness of your glass fire pit wind guard upon request.